Pound Sterling is expected to stay above 2016 lows going forward with the currency set to benefit as the Brexit story grows stale. At current levels, GBP is well below where it should be were value purely determined by strength of the economy. Despite the UK being one of the fastest growing G10 countries in 2016, Sterling languishes within touching-distance of multi-year lows against the majority of its rivals confirming that this is a political and sentiment-driven currency. "GBP should remain supported for now. GBP has converted into a political currency, but this week could see UK politics and economics point both towards GBP strength with tomorrow’s UK Q4 GDP report suggesting strength," says Hans Redeker at Morgan Stanley in London. Agreeing on this concept are analysts at BNP Paribas, the French investment banking giant who believe GBP is now trading near levels reflecting a worst-case scenario for trade and capital flows. In their opinion, downside pressure should ease and further upside is now possible. The GBP rallied sharply in response to UK Prime Minister Theresa May’s speech on 17 January, with GBPUSD posting its biggest daily gain since 2008. 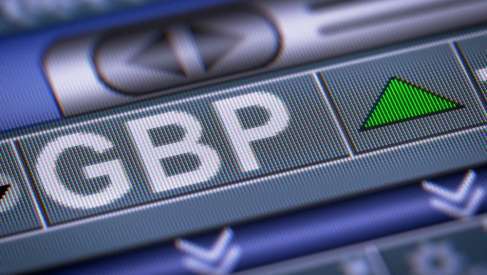 The GBP to USD exchange rate has recovered towards 1.24 and the GBP to EUR is looking to test 1.16 again. (1) FX markets having already priced in very negative expectations for the Brexit impact on sterling: The GBP is significantly undershooting our valuation model’s fair value under various Brexit scenarios. (2) The market already being positioned very short GBP and short exposure likely having been extended further, ahead of May’s speech in response to several leaks to the press, as signalled by BNP Paribas FX Positioning Analysis. (3) May sounding more conciliatory, positive and assured in her tone regarding negotiations. The fact that she acknowledged that single market access is incompatible with the UK’s double aim of extricating itself from European Court of Justice jurisdiction and regaining more control over immigration provides clarity. 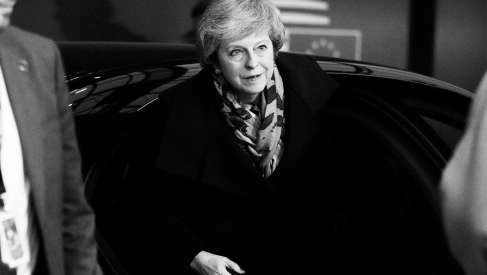 “Finally, the fact that she reiterated that the government will aim for a transitional deal is a positive development for the GBP,” says Sam Lynton-Brown, an FX Strategist with BNP Paribas in London. 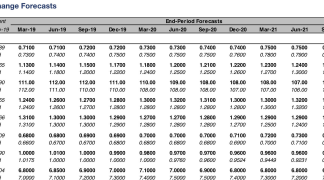 According to BNP Paribas’ in-house fair value estimation models, Sterling is notably undervalued. The bank’s CLEER™ model - which stands for Cyclical Equilibrium Exchange Rate - provides a fair value for exchange rates based on macroeconomic variables. 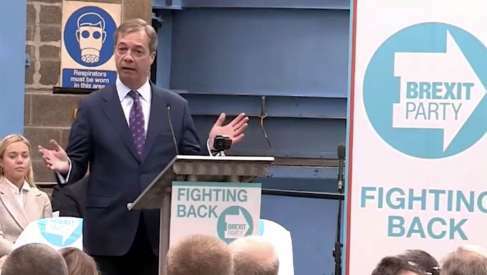 “The model adds value by providing a quantitative framework around which we can analyse the impact of different Brexit scenarios on sterling by simulating what happens to the model’s input factors, one of which is the UK’s broad basic balance of payments (BBBoP),” says Lynton-Brown. In recent years there have been substantial inflows into the UK – over the past 12 months (through Q3 2016) foreign direct investment and portfolio investment inflows have totalled 19% of GDP. This easily outweighing the 5-6% of GDP current account deficit. The result is that the UK is currently running a very positive broad basic balance of payments position. In previous periods of UK crisis (the early 1990s, the 2000 stock market crash and the global financial crisis), analysts note the BBBoP reached -10% of GDP. “If we simulate the extreme scenario of a decline in the UK’s BBBoP from 13.9% currently (4q sum through Q3 2016, % of GDP) to -10% of GDP, which is an extreme scenario, CLEER™ signals GBPUSD fair value at 1.30. Hence, GBPUSD at 1.20 is significantly undershooting,” says Lynton-Brown. Lynton-Brown expects long-term-oriented investors to be buyers below GBPUSD 1.20. However, undervaluation is by no means a prelude to a recovery. 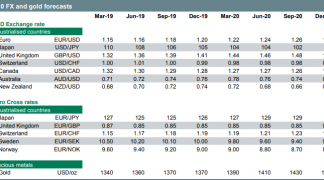 BNP Paribas note that a currency tends to undershoot its CLEER by 5-10% when its central bank is engaged in quantitative easing (QE) – as we have observed in the past. "This provides a simulated fair value of 1.18. The bottom line is that our valuation metrics suggest FX markets are already pricing in expectations for substantial financial account outflows from the UK as well as continued very accommodative policy from the Bank of England," says Lynton-Brown. These expectations will no doubt be related to expectations that the UK economy is likely to slow as a result of Brexit going forward. BNP Paribas economists note that the European electoral calendar which suggests progress on Brexit negotiations could be limited in 2017. Hence, they do not expect much meaningful convergence of the UK and EU negotiating positions until later this year or early 2018. 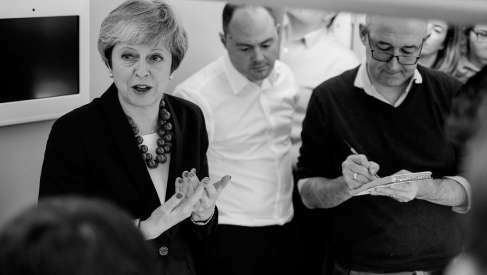 "Following May’s speech, there could start a period where the news-flow around Brexit slows down and becomes repetitive. In this scenario, some short GBP exposure would probably be reduced, resulting in a low volatility rise in Sterling," says Lynton-Brown. Analysts are forecasting the GBP/USD rate to trade at 1.24 in mid-2017 ahead of a climb to 1.25 by year-end. 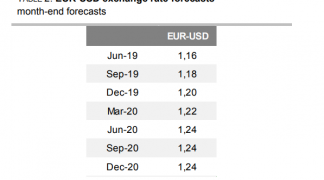 The EUR/GBP rate is forecast at 0.82 in mid-year, ahead of a fall to 0.80 by the end of 2017. From a GBP into EUR perspective, this equates to 1.2195 and 1.25 respectively.